The FurniturePick team is back to the living room inspirations, ideas and furniture guide. If you have missed our Sofa Styles Guide couple of weeks ago, you are welcome to catch up. Today we thought to remind you that a sectional is another great idea when it comes to living rooms, both spacious or small ones. Good comfortable chaise or modular can provide enough seating for the big company of your friends and become a comfortable island for you and your family when watching a movie or relaxing after a long busy day. You can find the right spot for it in the corner to save some space in your room or make a statement while placing it right in the middle. 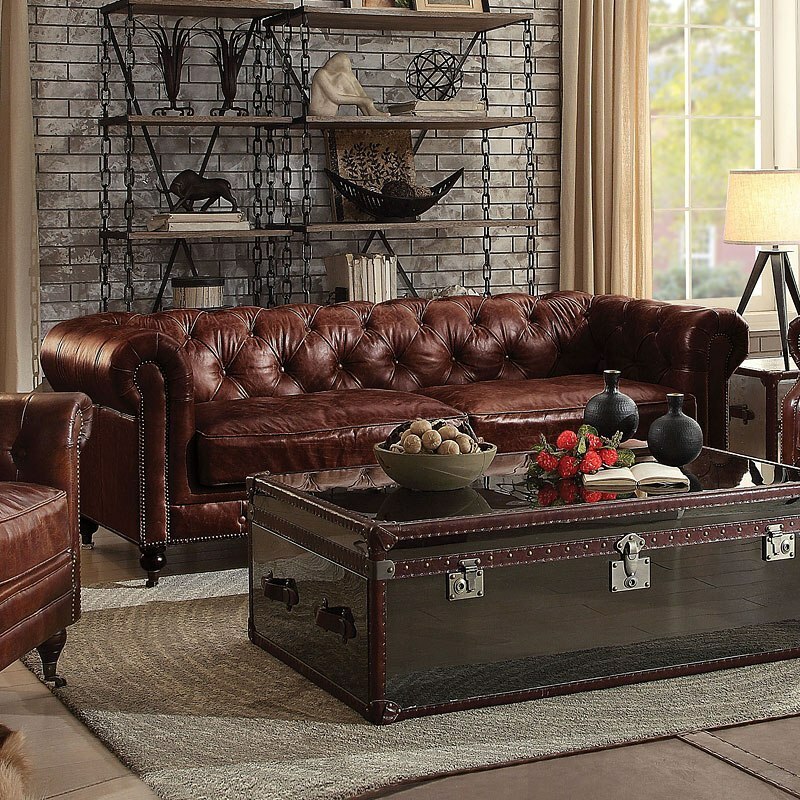 Follow our brief guidelines and find the perfect sectional for your house or apartment. 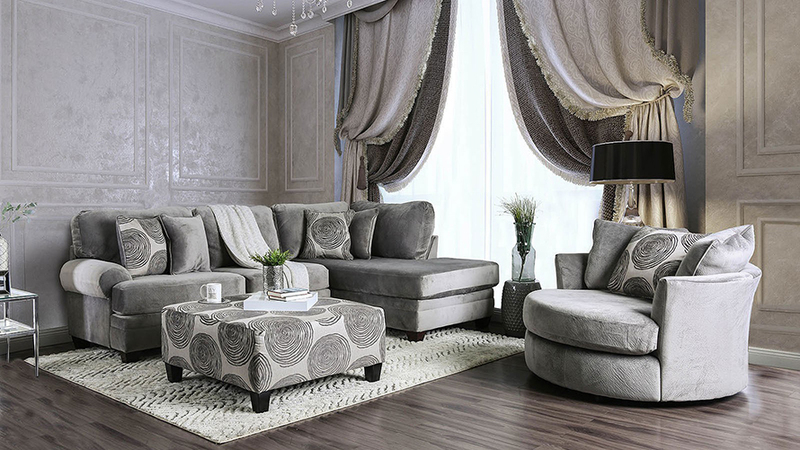 For a start, choose the best layout option for your room, whether it is the L-shape, chaise, symmetrical or other, try to find the right one to fit the shape of your living room space. Ready to get to know more? While rearranging the furniture in your living room, you may find a lot more advantages and options with the sectionals. Today our focus is on the solutions offered by the Chamberly Alloy Living Room Collection. With ample combinations to create a modular sectional that adapts to fit into any living room space, it easily became a bestseller with the Furniture Pick. They are outstanding gathering place for families during movie nights. The sectional will keep you all close to each other and perhaps even cuddle! An ideal spot for the friends to sit and chat and for a bigger company of friends to get together and watch the favorite team play during semifinals or finals. Find the best combination for your place with the chaise, cuddler or one of the ottomans, and stay creative! Read more at our blog and discover a lot more options and combinations with this collection by Ashley Furniture. Have a Seat.. Any Way You Want! No need to sacrifice looks for comfort! The Toletta Chocolate & Granite Collection serves up both with a richly relaxed sense of style. With the soft feel of the warm earth-toned upholstery covering the plush bustle back design and thick pillow top arms, the comfort of the Toletta Sectional by Ashley Furniture is matched only by the beautifully curved contemporary design along with the option of power recline which creates the ultimate in living room furniture. Overstuffed pillow armrests are custom made for lazy afternoon catnaps. Smart design includes zero-wall recliner, requiring only minimal space clearance, and a handy console with storage and dual cup holders. Nicely discreet, the subtle pull tabs take pleasure of reclining to a higher level. Just use few of our tips on possible options and find the best configuration for your space and enjoy the smart comfort to the full extent! Get to know more clever solutions and best furniture designs with Furniture Pick.